Established to provide a community voice in the police reform process, Seattle’s Community Police Commission (CPC) is a unique body for an American city. It consists of 15 members, appointed by the mayor and confirmed by the city council, drawn from a large variety of backgrounds and with expertise pertaining to just policing. It was mandated under a memorandum of understanding between the City of Seattle and the U.S. Department of Justice (DOJ) which details work to be done over three years to ensure bias-free policing and address the use of excessive force. Recently, ACLU-WA deputy director and CPC member Jennifer Shaw spoke about the body’s mission and work to the state’s Minority and Justice Commission in Olympia. She was joined by CPC director Fe Lopez and Rev. Harriett Walden of Mothers for Police Accountability. They outlined why they believe the CPC will be a successful agent of change for the Seattle Police Department (SPD), an institution that historically has been averse to reform. Shaw stressed that the CPC is part of an effort that differs from previous attempts at police reform in Seattle. For one thing, the CPC is bringing all the important stake-holders to the table: the affected communities, advocacy groups, and the SPD itself. Further, the CPC’s engagement with the community has truly been meaningful and inclusive. In just 30 days, the CPC connected with 3,400 people of different ethnicities and social backgrounds to ensure that feedback on police behavior was broadly representative. What’s more, in that same month, 3,000 people completed its survey regarding their experience with the SPD. The respondents were a diverse group, with 30% aged 25 or younger, communicating in 14 different languages to ensure inclusivity. In addition, this time there is a federal judge involved to apply pressure to ensure that everybody is moving forward on the reforms. Fe Lopez added that the DOJ’s investigation and role in the formation of the CPC validated it as an agent of real power. 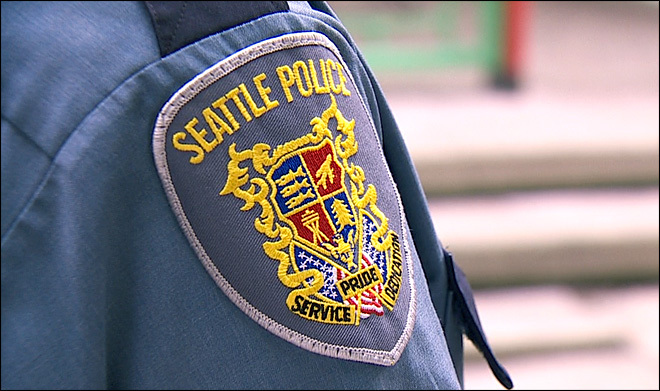 After gathering the community input into a report in 2013, the CPC submitted policy recommendations to the SPD regarding four general areas: bias-free policing, stops and detentions, excessive use of force, and in-car video recordings. To ensure bias-free policing, the CPC wants to know why certain individuals are stopped more often than others, and that the SPD is conscious of the disproportion. The focus on bias-free policing is unique and innovative in relation to the nation’s other cities. The analysis of use of force is complex and nuanced, and accordingly, the CPC’s use-of-force recommendations for the SPD are quite detailed. CPC members see police reform in Seattle as a three-step process. First, the CPC wants to create by the end of July a shared vision with the SPD of what can come from the recommendations and input from the communities. Second, the CPC looks to perform “gap analysis,” comparing what the vision for the future of policing looks like with the current model and analyzing what needs to change to fill the disparity. Lastly, there will need to be a plan for implementation. Because of its deep engagement in dialogue with the police and the community at large, CPC members feel their work truly is helping to lay the groundwork for long-needed change. You can watch a video of the presentation before the Minority Justice Commission here.